2010 BestCare Employee of the Year: Clemente Saravia, EMT-P! Wow what a year…. BestCare is doing great. 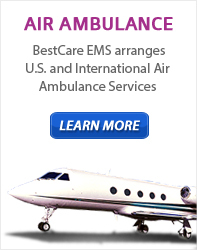 We’re the top ambulance company in Houston, TX… hands down. We would like to thank all of our employees, team, patients, providers and partners. We would also like to take this opportunity to acknowledge a person who has consistently gone above and beyond the call of duty in doing their job well and protecting the health of our Houston Community. CONGRATULATIONS TO CLEMENTE SARAVIA!!! THE 2011 BEST CARE EMPLOYEE OF THE YEAR!! !